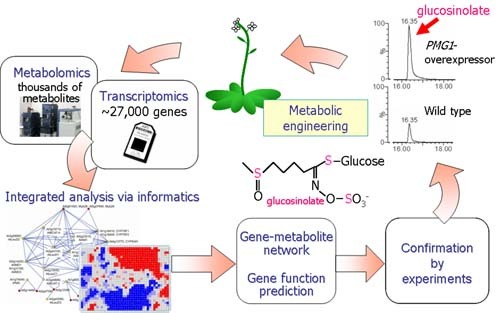 This is the final article in a robust series on metabolism, metabolomics, and the “-OMICS-“ biological synthesis that is creating a more holistic and interoperable view of natural sciences, including the biological disciplines, climate science, physics, chemistry, toxicology, pharmacology, and pathophysiology with as yet unforeseen consequences. There have been impressive advances already in the research into developmental biology, plant sciences, microbiology, mycology, and human diseases, most notably, cancer, metabolic , and infectious, as well as neurodegenerative diseases. Masahiro Chiga, MD, PhD, Averill A Liebow, MD, Nathan O Kaplan, PhD, Johannes Everse, PhD, Norio Shioura, PhD, Abraham Braude, MD, Percy J Russell, PhD, Debby Peters, Walter D Foster, PhD, Herschel Sidransky, MD, Sherman Bloom, MD, Matthew Grisham, PhD, Christos Tsokos, PhD, IJ Good, PhD, Distinguished Professor, Raool Banagale, MD, Gustavo Reynoso, MD,Gustave Davis, MD, Marguerite M Pinto, MD, Walter Pleban, MD, Marion Feietelson-Winkler, RD, PhD, John Adan,MD, Joseph Babb, MD, Stuart Zarich, MD, Inder Mayall, MD, A Qamar, MD, Yves Ingenbleek, MD, PhD, Emeritus Professor, Bette Seamonds, PhD, Larry Kaplan, PhD, Pauline Y Lau, PhD, Gil David, PhD, Ronald Coifman, PhD, Emeritus Professor, Linda Brugler, RD, MBA, James Rucinski, MD, Gitta Pancer, Ester Engelman, Farhana Hoque, Mohammed Alam, Michael Zions, William Fleischman, MD, Salman Haq, MD, Jerard Kneifati-Hayek, Madeleine Schleffer, John F Heitner, MD, Arun Devakonda,MD, Liziamma George,MD, Suhail Raoof, MD, Charles Oribabor,MD, Anthony Tortolani, MD, Prof and Chairman, JRDS Rosalino, PhD, Aviva Lev Ari, PhD, RN, Rosser Rudolph, MD, PhD, Eugene Rypka, PhD, Jay Magidson, PhD, Izaak Mayzlin, PhD, Maurice Bernstein, PhD, Richard Bing, Eli Kaplan, PhD, Maurice Bernstein, PhD. the development and progression of diseased tissue. metabolomics has become an invaluable field of research. in understanding disease development and progression. after exposure to a large variety of chemical toxins and pharmaceutical compounds. said Hennicke Kamp, Ph.D., group leader, department of experimental toxicology and ecology at BASF. which allow for the creation of a toxicity and mechanism of action profile. with the best efficacy and safety profiles might be streamlined. 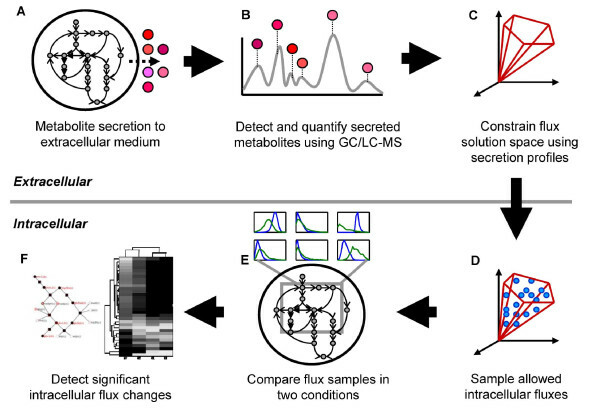 the accurate quantification of known metabolites within a biological sample. 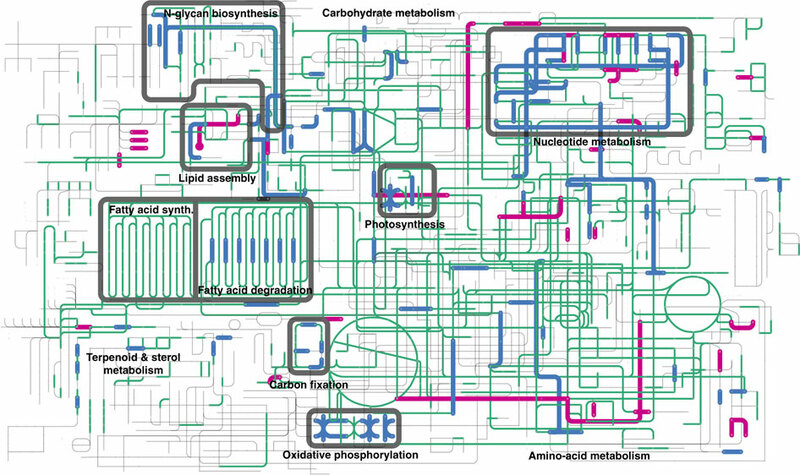 mapping of more than 800 metabolites to specific cellular pathways. It is based on flow injection analysis and high-performance liquid chromatography MS/MS. the early determination of pathophysiological events with regards to a specific disease. 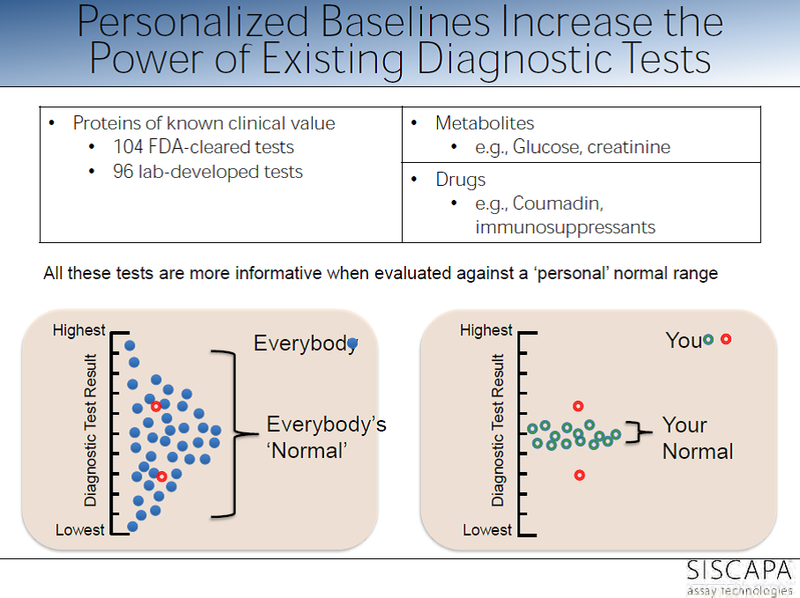 an “easy-to-use” biomarker analysis tool for laboratory research. The kit functions on MS machines from a variety of vendors, and allows for the quantification of 150-180 metabolites. validated in human serum, for the rapid and accurate clinical determination of 16 known steroids. Initially focusing on the analysis of steroid ranges for use in hormone replacement therapy, the SteroIDQ Kit is expected to have a wide clinical application. while maintaining a certain degree of cellular metabolism. the major and only metabolism driving force for unchecked proliferation and tumorigenesis of cancer cells. Other aspects of metabolism were often overlooked. the metabolomic profile of hormone-sensitive and -resistant breast cancer cells through the use of UPLC-MS.
to adapt and resist hormone/chemotherapy treatment. provide enough energy to also promote proliferation. the overall goal of developing effective diagnostic, prognostic, and therapeutic tools. without the need for specific reference standards or calibration curves,” according to Lea Heintz of Bruker BioSpin. Bruker BioSpin recently installed high-resolution magic angle spinning NMR (HRMAS-NMR) systems that can rapidly analyze tissue biopsies. The main objective for HRMAS-NMR is to establish a rapid and effective clinical method to assess tumor grade and other important aspects of cancer during surgery. fully elucidate the complex metabolome within a given biological sample. to realize a potential for cancer biomarker discovery in the realms of diagnosis, prognosis, and treatment. Using combined NMR and MS to measure the levels of nearly 250 separate metabolites in the patient’s blood, Dr. Weljie and other researchers at the University of Calgary were able to rapidly determine the malignancy of a pancreatic lesion (in 10–15% of the cases, it is difficult to discern between benign and malignant), while avoiding unnecessary surgery in patients with benign lesions. leading to a very strong, robust and precise metabolomics toolset. its potential in pharmaceutical development. roughly 300 in other compartments. and how they have been changing over the years as the country has become a more industrialized nation. the increase in the incidence of metabolic disorders such as diabetes has grown to affect 9.7% of the Chinese population. Dr. Xu, collaborating with Rainer Lehman, Ph.D., of the University of Tübingen, Germany, compared urinary metabolites in samples from healthy individuals with samples taken from prediabetic, insulin-resistant subjects. Using mass spectrometry coupled with electrospray ionization in the positive mode, they observed striking dissimilarities in levels of various metabolites in the two groups. as potential diabetes biomarkers,” Dr. Xu explains. they are released as intermediates of partial beta oxidation in human myotubes and mouse muscle tissue. the glycine dehydrogenase gene on individual response to antidepressants. carried a particular single nucleotide polymorphism in the GD gene. illustrate the use of pharmacometabolomics to inform pharmacogenomics. we can predict what conditions will respond to treatment. “This approach to defining health or disease in terms of metabolic states opens a whole new paradigm. It is now known that the statins have widespread effects, altering a range of metabolites. To sort out these changes and develop recommendations for which individuals should be receiving statins will require substantial investments of energy and resources into defining the complex web of biochemical changes that these drugs initiate. “genetics only encodes part of the phenotypic response. based on the differing translational diffusion coefficients (which reflect the size and shape of the molecule). the attenuation of the NMR signals during a pulsed field gradient experiment. “the study of the interactions between low molecular weight biochemicals and macromolecules in biological samples ..
without preselection of the components of interest. within organized aggregates such as lipoprotein complexes. diseased individuals compared to matched controls provides an incomplete insight to plasma metabolism. but their interactions with the proteins and lipoproteins within this complex web. the interactions of all detectable metabolites within the macromolecular sample. the effects of the biological matrix on the metabolites. the differing translational diffusion coefficients (which reflect the size and shape of the molecule). head them off early in the course of drug discovery. this core network would be most susceptible to potential drug toxicity. 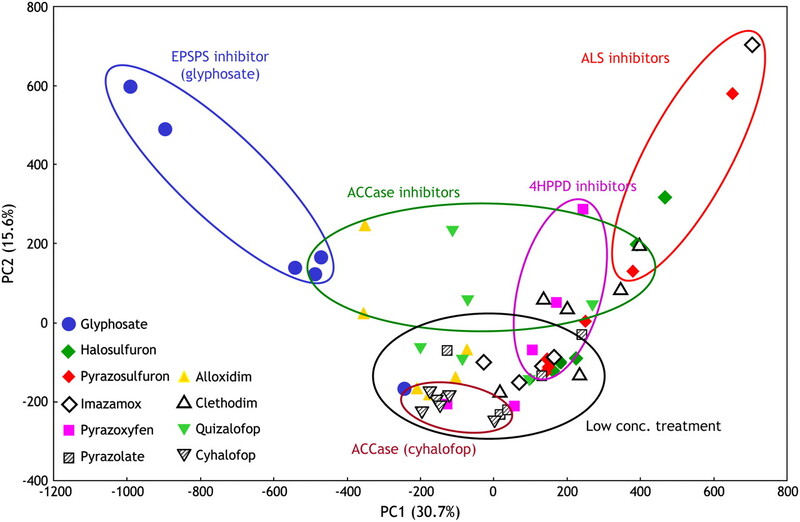 Screening approximately 41 drugs that were administered at seven concentrations over three orders of magnitude, they observed changes in metabolome patterns at much lower drug concentrations without attendant physiological toxicity. 60 metabolite profiles for each drug they evaluated. provide an indirect measure of the possible side effects of the various drugs. metabolites labeled with 13C are used to follow the utilization of metabolic pathways in the cell. 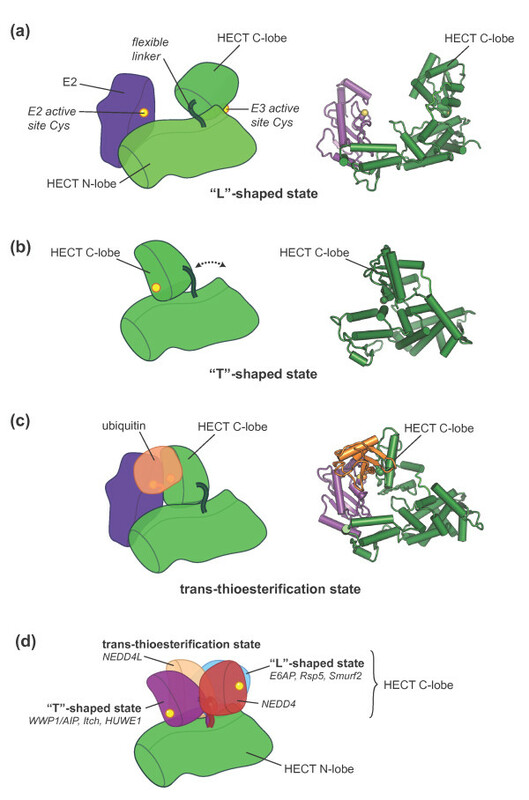 conformational changes leading to substrate efflux. is achieved by a flexible make up of the metabolome. how cells establish a stable functioning network in the face of inevitable concentration fluctuations. that has accumulated in the last decade. While the concept clearly makes sense and is being widely applied today, there are many reasons why drugs fail in development, and metabolomics will not be a panacea for resolving all of these questions. It is too early at this point to recognize a trend or a track record, and it will take some time to see how this approach can aid in drug discovery and shorten the timeline for the introduction of new pharmaceutical agents. manufacture all of the proteins needed to build tissue and sustain life. that might be regulated by controlling the output of ribosomes. components of our immune system such as antibodies. Regarded as life’s most important molecular machine, ribosomes have been intensively studied by scientists (the 2009 Nobel Prize in Chemistry, for example, was awarded for studies of its structure and function). But until now researchers had not uncovered all of the details of how the proteins that are used to construct ribosomes are themselves produced. four different kinds of RNA molecules. RNA polymerase I and RNA polymerase III. the production of the 80 proteins that make up the ribosome. 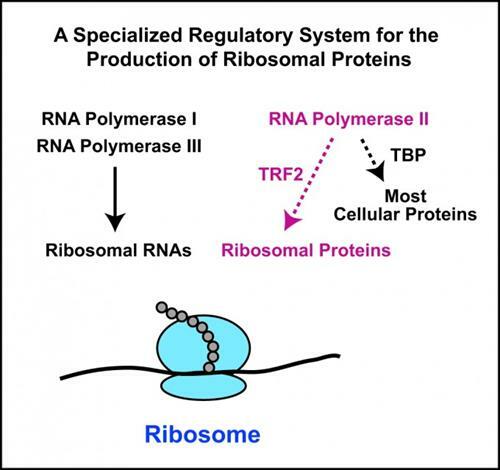 system that allows ribosomal proteins themselves to be synthesized by the cell. which arise from the B cells of the immune system. to the healthy functioning of many immune cells in the body, not just B cells gone bad. that are needed to support a healthy immune system. how Bcl6 controls the various aspects of the immune system. the small molecule agent 79-6.
says Ari Melnick, M.D., professor of hematology/oncology and a hematologist-oncologist at NewYork-Presbyterian Hospital/Weill Cornell Medical Center. offers implications beyond just treating DLBCL. Bcl6 plays a key role in the most aggressive forms of acute leukemia, as well as certain solid tumors. enabling B-cells to generate specific antibodies against pathogens. lymphomas develop in the immune system. Bcl6 inhibitors powerfully and quickly destroy lymphoma cells,” . using different tools to control different cell types. This multifunction paradigm could represent a general model for the functioning of other master regulatory transcription factors. 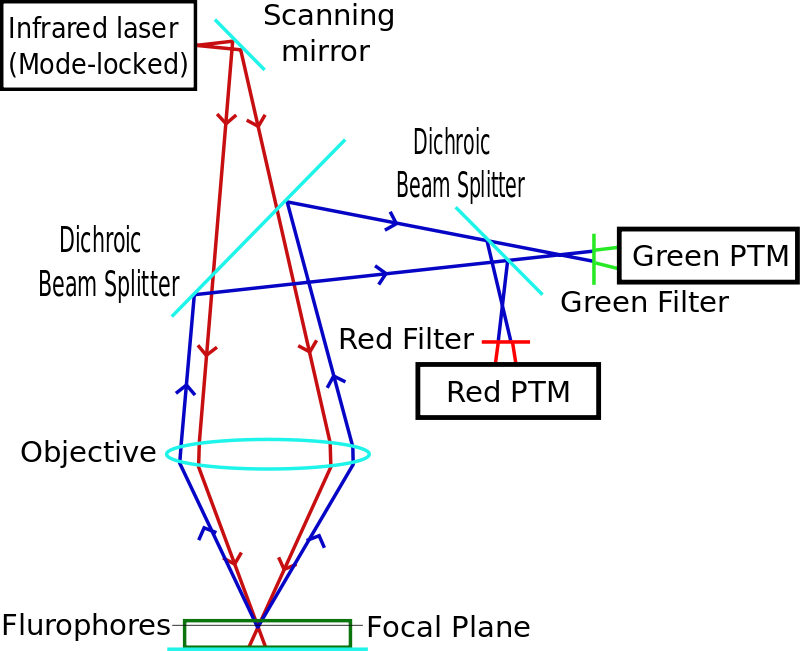 Prior to these study results, it was not known that a master regulator could separate its functions so precisely. Researchers hope this will be a major benefit to the treatment of DLBCL and perhaps other disorders that are influenced by Bcl6 and other master regulatory transcription factors. The study is published in the journal Nature Immunology, in a paper titled “Lineage-specific functions of Bcl-6 in immunity and inflammation are mediated by distinct biochemical mechanisms”. 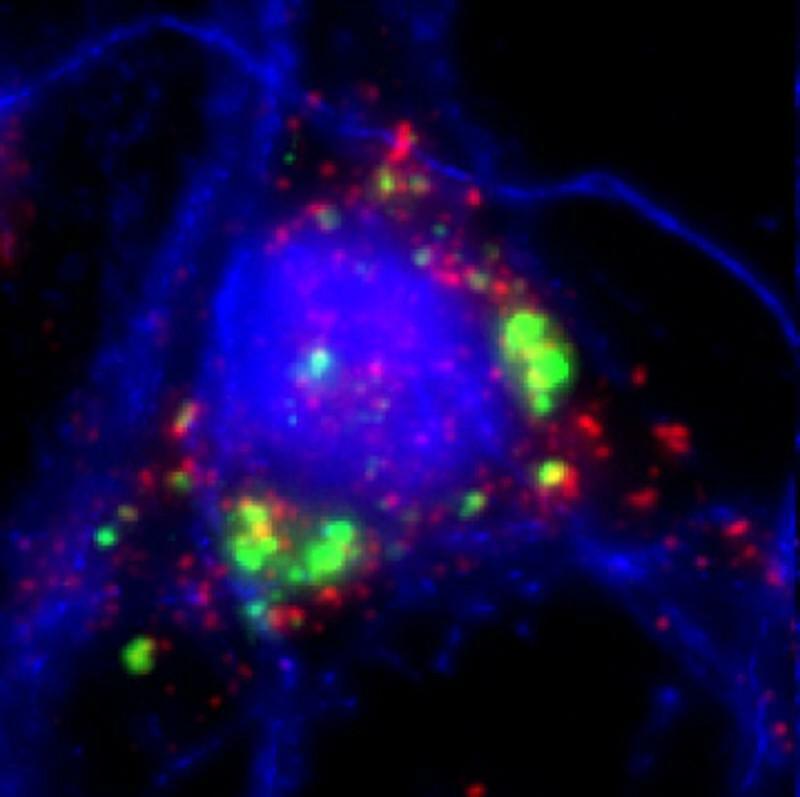 Neurons (blue) which have absorbed exosomes (green) have increased levels of the enzyme catalase (red), which helps protect them against peroxides. play an important role in the functioning of neurons. to defend themselves against stress and other potentially detrimental factors. that can have a significant effect in the brain. oligodendrocytes release exosomes on exposure to neuronal stimuli. these are absorbed by the neurons and improve neuronal stress tolerance. insulating myelin sheath around the axons of neurons. 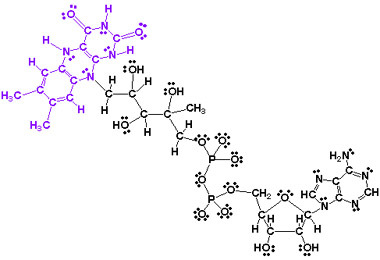 but also transmit genetic information in the form of ribonucleic acids. influence them on the biochemical and gene regulatory level. “The extent of activities of the exosomes is impressive,” added Krmer-Albers. The researchers hope that the understanding of these processes will contribute to the development of new strategies for the treatment of neuronal diseases. Their next aim is to uncover how vesicles actually function in the brains of living organisms. The above story is based on materials provided by Universitt Mainz. It is estimated that as many as half of patients taking cancer drugs experience a decrease in mental sharpness. While there have been many theories, what causes “chemo brain” has eluded scientists. In an effort to solve this mystery, neuroscientists at The University of Texas Health Science Center at Houston (UTHealth) conducted an experiment in an animal memory model and their results point to a possible explanation. Findings appeared in The Journal of Neuroscience. 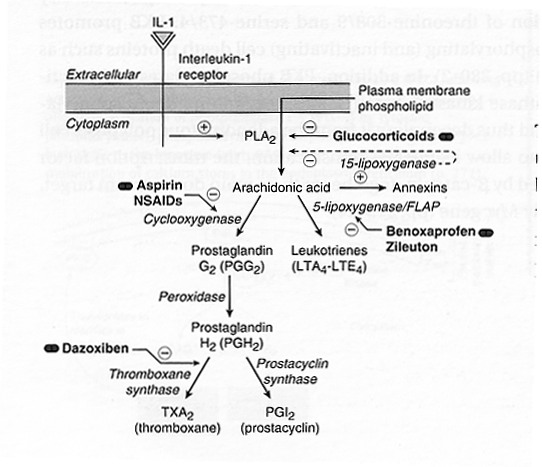 memory mechanisms blocked by the drug. unblock the mechanisms by administering another agent. Byrne’s laboratory is known for its use of a large snail called Aplysia californica to further the understanding of the biochemical signaling among nerve cells (neurons). The snails have large neurons that relay information much like those in humans. that was no longer passing along information properly. the scientists were able to reopen the pathway. Unfortunately, this drug would not be appropriate for humans, Byrne said. “We want to identify other drugs that can rescue these memory mechanisms,” he added. According the American Cancer Society, some of the distressing mental changes cancer patients experience may last a short time or go on for years. Byrne’s UT Health research team includes co-lead authors Rong-Yu Liu, Ph.D., and Yili Zhang, Ph.D., as well as Brittany Coughlin and Leonard J. Cleary, Ph.D. All are affiliated with the W.M. Keck Center for the Neurobiology of Learning and Memory. Byrne and Cleary also are on the faculty of The University of Texas Graduate School of Biomedical Sciences at Houston. Coughlin is a student at the school, which is jointly operated by UT Health and The University of Texas MD Anderson Cancer Center. The study titled “Doxorubicin Attenuates Serotonin-Induced Long-Term Synaptic Facilitation by Phosphorylation of p38 Mitogen-Activated Protein Kinase” received support from National Institutes of Health grant (NS019895) and the Zilkha Family Discovery Fellowship. topoisomerase II inhibition, DNA cleavage, and free radical generation. two MAPK isoforms important for long-term memory (LTM) formation. could have secondary effects on cognitive functions, such as learning and memory. pERK and p-p38 MAPK in SNs and cortical neurons. the downstream transcriptional repressor cAMP response element-binding protein 2 in SNs. These results suggest that acute application of DOX might impair the formation of LTM via the p38 MAPK pathway. BRAIN control: The new technology uses radio waves to activate or silence cells remotely. The bright spots above represent cells with increased calcium after treatment with radio waves, a change that would allow neurons to fire. among the first to receive funding from U.S. President Barack Obama’s BRAIN initiative. 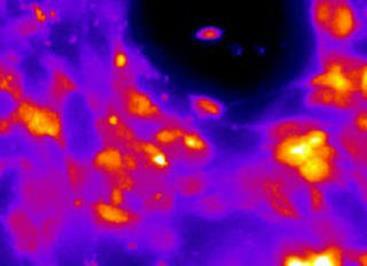 nanoparticles to turn neurons on or off. a goal that requires the development of new technologies. The BRAIN initiative working group, which outlined the broad scope of the ambitious project, was co-chaired by Rockefeller’s Cori Bargmann, head of the Laboratory of Neural Circuits and Behavior. Stanley’s grant, for $1.26 million over three years, is one of 58 projects to get BRAIN grants, the NIH announced. The NIH’s plan for its part of this national project, which has been pitched as “America’s next moonshot,” calls for $4.5 billion in federal funds over 12 years. in freely moving animals in order to better understand what these cells do. unique combination of features that may enable new types of experimentation. dispersed across a larger region, including those in difficult-to-access locations. Stanley also plans to explore the potential this method has for use treating patients. which is formed by interconnected neurons. Our remote-control technology may provide a tool with which researchers can ask new questions about the roles of complex circuits in regulating behavior,” Stanley says. from settling and growing in distant organs. 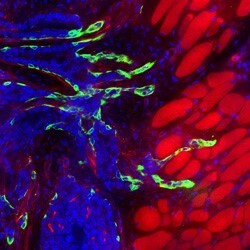 in distant organs that promotes cancer’s spread. However, this concept had not explained why some tumors do not spread or metastasize. might help keep human cancer at bay and from metastasizing. the barriers that the body throws up to protect itself against cancer fail. that establish what is known as the “premetastatic niche” in distant organs. These niches composed of bone marrow cells and various growth factors have been described previously by others including Dr. Mittal as the fertile “soil” that the disseminated cancer cell “seeds” grow in. systemically increased expression of Tsp-1, a molecule known to fight cancer growth. that comprise the metastatic niche. the main producers of Tsp-1,. 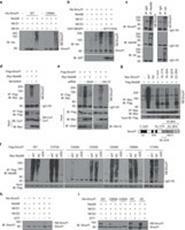 increased expression of Tsp-1 in the premetastatic lungs. into cells that are not hospitable to cancer cells that spread from a primary tumor. 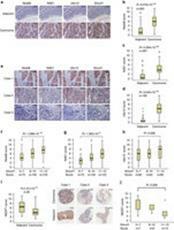 in mouse models of breast and prostate cancer. The scientists have begun to test prosaposin in other tumor types or metastatic sites. 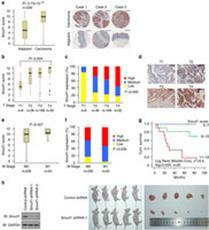 The study was reported in the April 30 issue of Cancer Discovery, in a paper titled “Bone Marrow-Derived Gr1+ Cells Can Generate a Metastasis-Resistant Microenvironment Via Induced Secretion of Thrombospondin-1”. Knocking out a single enzyme dramatically cripples the ability of aggressive cancer cells to spread and grow tumors. The paper, published in the journal Proceedings of the National Academy of Sciences, sheds new light on the importance of lipids, a group of molecules that includes fatty acids and cholesterol, in the development of cancer. 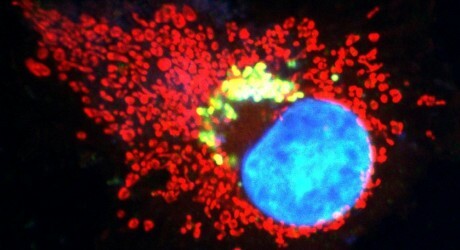 Researchers have long known that cancer cells metabolize lipids differently than normal cells. Levels of ether lipids – a class of lipids that are harder to break down – are particularly elevated in highly malignant tumors. known to be critical to the formation of ether lipids. AGPS expression increased when normal cells turned cancerous. inactivating AGPS substantially reduced the aggressiveness of the cancer cells. “The cancer cells were less able to move and invade,” said Nomura. disabling the AGPS enzyme in mice that had been injected with cancer cells. inhibiting AGPS expression depleted the cancer cells of ether lipids. said Benjamin Cravatt, Professor and Chair of Chemical Physiology at The Scripps Research Institute, who is not part of the UC. metabolic reprogramming in the earliest stages of cancer. Agilent Technologies Inc. announces that Dr. Ronald A. DePinho, a world-renowned oncologist and researcher, has received an Agilent Thought Leader Award. Researchers on his team will work with scientists from the university’s newly formed Institute of Applied Cancer Sciences. The Agilent Thought Leader Award provides funds to support personnel as well as a state-of-the-art Agilent 6550 iFunnel Q-TOF LC/MS system. rapidly identify new targets that drive the formation, progression and maintenance of pancreatic cancer. said Patrick Kaltenbach, Agilent vice president, general manager of the Liquid Phase Division, and the executive sponsor of this award. The Agilent Thought Leader Program promotes fundamental scientific advances by support of influential thought leaders in the life sciences and chemical analysis fields. Ping Xie, Minghua Zhang, Shan He, Kefeng Lu, Yuhan Chen, Guichun Xing, et al. the C2-WW-HECT ligase Smurf1 is activated by neddylation. catalyses its own neddylation on multiple lysine residues. an active site at C426 in the HECT N-lobe. augments the ubiquitin ligase activity of Smurf1. is conserved in human Smurf1 and yeast Rsp5. correlates with cancer progression and poor prognosis. shed new light on the tumour-promoting role of Smurf1. Figure 1: Smurf1 expression is elevated in colorectal cancer tissues. Smurf1 expression is elevated in colorectal cancer tissues. 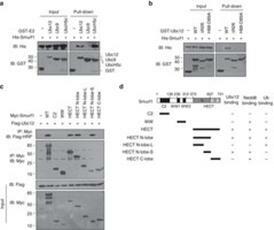 Figure 2: Positive correlation of Smurf1 expression with Nedd8 and its interacting enzymes in colorectal cancer. Figure 3: Smurf1 interacts with Ubc12. Figure 4: Nedd8 is attached to Smurf1through C426-catalysed autoneddylation. Figure 5: Neddylation of Smurf1 activates its ubiquitin ligase activity. Neddylation of Smurf1 activates its ubiquitin ligase activity. M Simicek, S Lievens, M Laga, D Guzenko, VN. Aushev, et al. engaging two components of the exocyst complex, EXO84 and SEC5. How this differential interaction is achieved molecularly by the RAL GTPase remains unknown. tunes its activity towards a particular effector. facilitating its interaction with SEC5. autophagy and innate immune responses. 12-LO enzyme promotes the obesity-induced oxidative stress in the pancreatic cells. according to a team from Indiana University School of Medicine, Indianapolis. The findings will enable the development of drugs that can interfere with this enzyme, preventing or even reversing diabetes. The research is published ahead of print in the journal Molecular and Cellular Biology. only in people who become overweight. The harmful small molecules resulting from 12-LO’s enzymatic action are known as HETEs, short for hydroxyeicosatetraenoic acid. the pancreatic cells to manufacture the necessary quantities of insulin. lacked the gene for 12-LO exclusively in their pancreas cells. Mice were either fed a low-fat or high-fat diet. developed obesity and insulin resistance. caused the beta cell failure. relatively high fat Mediterranean diet-are unlikely to have the same effects. is the culprit in the development of pre-diabetes, following high fat diets,” says Mirmira. on the same high-fat, obesity-inducing Western diet. when fed a typical high-fat, obesity-inducing Western diet. Yet, these mice ate the same amount as their normal counterparts that became obese. in the cell’s protein making machinery called the endoplasmic reticulum (ER). “The million-dollar question is why don’t these mice gain weight? Is this related to its inability to clear mis-folded proteins in the ER?” said Ling Qi, associate professor of molecular and biochemical nutrition and senior author of the study published online July 24 in Cell Metabolism. Haibo Sha, a research associate in Qi’s lab, is the paper’s lead author. fat goes to the liver. a novel function for SEL1L as a regulator of lipid metabolism,” said Qi. 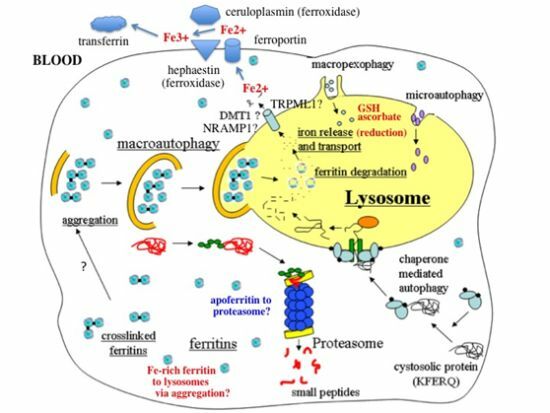 lipoprotein lipase (LPL), acting as a chaperone,” . conditions found in fat cell-specific SEL1L-deficient mice, said Qi. determine why fat cell-specific SEL1L-deficient mice remain lean under Western diets, said Sha. Co-authors include researchers from Cedars-Sinai Medical Center in Los Angeles; Wageningen University in the Netherlands; Georgia State University; University of California, Los Angeles; and the Medical College of Soochow University in China. The study was funded by the U.S. National Institutes of Health, the Netherlands Organization for Health Research and Development National Institutes of Health, the Cedars-Sinai Medical Center, Chinese National Science Foundation, the American Diabetes Association, Cornell’s Center for Vertebrate Genomics and the Howard Hughes Medical Institute. predict whether a therapy may be successful. Biomarkers are on the agenda of many if not most industry gatherings, and in cases such as Oxford Global’s recent “Biomarker Congress” and the GTC “Biomarker Summit”, they hold the naming rights. There, some basic principles were built upon, amended, and sometimes challenged. proteins shed from a tumor will traverse to and persist in, and be detectable in, the circulation. personalization of the treatment strategy. circulating biomarkers come solely from secreted proteins. proteins that are annotated as such. there is a large number of factors that might affect the answer to that question,” . relate these to measurements made of the tumor itself. first show up and persist in the circulation, ..
to be tied back to the molecular biology taking place in the tumor. to predict from a tumor what will be found in the circulation. Affinity reagents are the main tools for large-scale protein biomarker discovery. And while this has tended to mean antibodies (or their derivatives), other affinity reagents are demanding a place in the toolbox. much like the antigen-binding site of antibodies. that can readily be expressed in bacterial culture. allowing the binding site to be exposed to the target in solution. they’re very robust,” said CEO Alastair Smith, Ph.D.
the Affimers that are binding targets of interest to them,” Dr. Smith foretold. to develop diagnostics that can be validated as time goes on. as well as uncovered an additional 22 candidate biomarkers. examples being found in flow cytometry and immunohistochemistry. subject to arbitrary or subjective gating protocols and other imprecise criteria. allowing them to be enumerated by quantitative PCR. explained CBO and founder Ulrich Hoffmueller, Ph.D.
even though it is transiently expressed in activated T cells of other subtypes. “the cells have to be stimulated in vitro,” he pointed out. 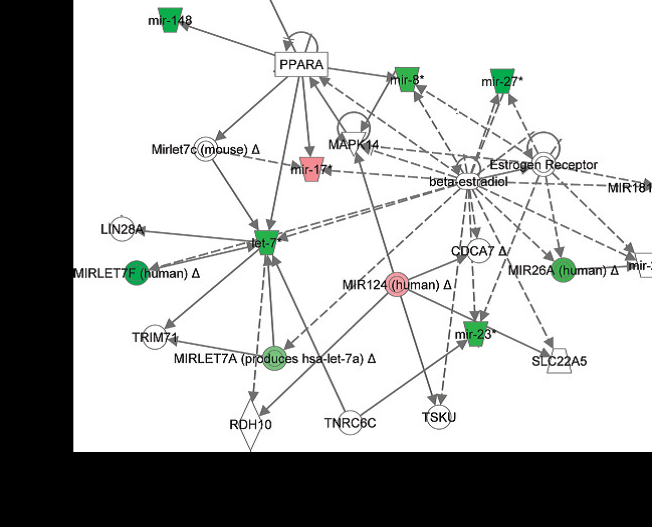 new assays for cancer biomarkers on the Myriad RBM Multi-Analyte Profile (MAP) platform. to identify potential proteins of interest for cancer research. The study looked at CRC and PC tumor lysates and found that 102 of the 115 proteins showed levels above the lower limit of quantification. Four markers were significantly higher in PC and 10 were greater in CRC. For most of the analytes, duplicate sections of the tumor were similar, although some analytes did show differences. In four of the CRC analytes, tumor number four showed differences for CEA and tumor number 2 for uPA. different in CRC tumor compared to its adjacent tissue. Ten of the analytes were higher in adjacent tissue compared to CRC. 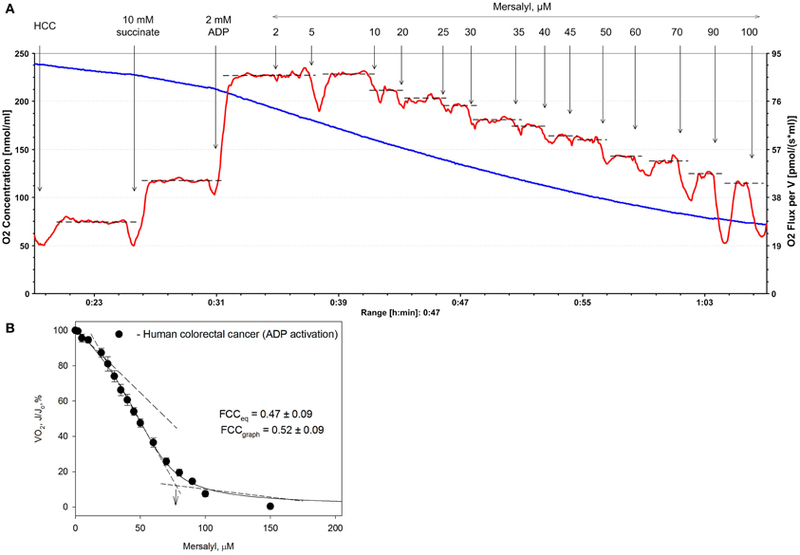 significant correlations of CRC tumor concentration to serum levels. While there have been many attempts to translate results from early discovery work on the serum proteome into clinical practice, few of these efforts have progressed past the discovery phase. a shift from discovery to development and commercialization platforms. routinely measure protein abundance from serum/plasma samples. reproducibly obtain quantitative measurements of relative protein abundance from MALDI-ToF mass spectra. The clinical utility of the identification of these disease states can be investigated through a retrospective analysis of differing sample sets. For example, Biodesix clinically validated its first commercialized serum proteomic test, VeriStrat®, in 85 different retrospective sample sets. allows for the observation of around 100 mostly high-abundant serum proteins. simultaneous quantitative measurement of more than 1,000 serum protein features (or peaks) from 10 µL of serum in a high-throughput manner. resulting in the observation of many lower-abundance serum proteins. these labels are considered too simplistic for understanding and managing a woman’s cancer. coming up with a list of significantly mutated genes—hot spots—in different categories of breast cancers. Targeting these will inevitably be the focus of much coming research. Edith Sanford Breast Cancer Research is undertaking a pilot study in collaboration with The Scripps Research Institute, using a variety of tests on 25 patients to see how the information they provide complements each other, the overall flow, and the time required to get and compile results. Laser-captured tumor samples will be subjected to low passage whole-genome, exome, and RNA sequencing (with targeted resequencing done in parallel), and reverse-phase protein and phosphorylation arrays, with circulating nucleic acids and circulating tumor cells being queried as well. “After that we hope to do a 100- or 150-patient trial when we have some idea of the best techniques,” he said. with most patients receiving a combination of two, three, or perhaps four different targeted therapies. According to Randox, the evidence Investigator is a sophisticated semi-automated biochip sys­tem designed for research, clinical, forensic, and veterinary applications. Once biomarkers that may have an impact on therapy are discovered, it is not always routine to get them into clinical practice. Leaving regulatory and financial, intellectual property and cultural issues aside, developing a diagnostic based on a biomarker often requires expertise or patience that its discoverer may not possess. relative to appropriate control populations. combined into panels of immunoassays on its multiplex biochip array technology. Specificity can also be gained—or lost—by the affinity of reagents in an assay. The diagnostic potential of Heart-type fatty acid binding protein (H-FABP) abundantly expressed in human myocardial cells was recognized by Jan Glatz of Maastricht University, The Netherlands, back in 1988. Levels rise quickly within 30 minutes after a myocardial infarction, peaking at 6–8 hours and return to normal within 24–30 hours. Yet at the time it was not known that H-FABP was a member of a multiprotein family, with which the polyclonal antibodies being used in development of an assay were cross-reacting, Gribben related. Randox developed monoclonal antibodies specific to H-FABP, funded trials investigating its use alone, and multiplexed with cardiac biomarker assays, and, more than 30 years after the biomarker was identified, in 2011, released a validated assay for H-FABP as a biomarker for early detection of acute myocardial infarction. insights into disease risk and progression. for targeted therapies for a number of autoimmune diseases, including rheumatoid arthritis (RA), Crohn’s disease, and psoriasis, among others. However, due to the low-abundance of circulating cytokines, such as IL-17A, obtaining robust measurements in clinical samples has been difficult. helping to shed light on biomarker verification and validation programs. could otherwise delay or derail clinical studies. The official also explains that the Singulex solution includes an array of products and services that are being applied to a number of programs and have enabled the development of clinically relevant biomarkers, allowing translation from discovery to the clinic. accelerating the development of novel therapies for treating inflammatory diseases. CRP, IL-6R alpha, IL-6, IL-1 RA, VEGF, TNF-RII, and IL-17A, IL-17F, and IL-17A/F. the magnitude of elevation for IL-17F in RA patients was the highest. levels of cTnI undetectable by other commercial assays. according to the scientists involved in the research. The study poster, “Prognostic Performance of Serial High Sensitivity Cardiac Troponin Determination in Stable Ischemic Heart Disease: Analysis From PROVE IT-TIMI 22,” was presented at the 2013 American College of Cardiology (ACC) Annual Scientific Session & Expo by R. O’Malley et al. to monitor drug-induced toxicity including kidney damage. The pace of biomarker development is accelerating as investigators report new studies on cancer, diabetes, Alzheimer disease, and other conditions in which the evaluation and isolation of workable markers is prominently featured. monitor drug-induced toxicity, including kidney damage. “One of the principle reasons for drugs failing during development is because of organ toxicity,” says Dr. Zheng. Through collaborative programs with Rules-Based Medicine (RBM), the EMD group has released panels for the profiling of human renal impairment and renal toxicity. These urinary biomarker based products fit the FDA and EMEA guidelines for assessment of drug-induced kidney damage in rats. from patients with documented renal damage. diabetes, Parkinson and Alzheimer diseases, cancer, and the aging process itself. Scientists at Oncogene Science a division of Siemens Healthcare Diagnostics, are also focused on biomarkers. “We are working on a number of antibody-based tests for various cancers, including a test for the Ca-9 CAIX protein, also referred to as carbonic anhydrase,” Walter Carney, Ph.D., head of the division, states. can serve as an effective and specific marker for both diagnostic and therapeutic purposes. It is liberated into the circulation in proportion to the tumor burden. this suggests that not all the tumor cells were removed and the tumor has metastasized. Dr. Carney and his team have developed both an immuno-histochemistry and an ELISA test that could be used as companion diagnostics in clinical trials of CAIX-targeted drugs. Phase III trial as an adjuvant therapy for non-metastatic clear cell renal cancer. for the treatment of gastric cancer last year. overexpressed in some breast cancer tumors. The long-term goal of these studies is to develop individualized therapies, tailored for the patient. Since the therapies are expensive, accurate diagnostics are critical to avoid wasting resources on patients who clearly will not respond (or could be harmed) by the particular drug. that they lack the capacity to react positively to the treatment,” Dr. Carney explains. similar to immunoblots, mass spectrometry, or flow cytometry. “We have developed a nanoscale device for protein measurement, which I believe could be useful for clinical analysis,” says Dean W. Felsher, M.D., Ph.D., associate professor at Stanford University School of Medicine. the activation of the signal-related kinases ERK-1 and ERK-2 can now be followed with ease. by drawing tiny needle aspirates from tumors over the course of time,” he explains. the inclusion of hundreds of assays. Contrasting this technology platform with proteomic analysis using microarrays, Dr. Felsher notes that the latter is not yet workable for revealing reliable markers. from leukemia and lymphoma patients receiving targeted therapy. using this variability as a key to new biomarker identification. initiation, progression, cell motility, invasiveness, and metastasis. generating initiation sites and connecting exons in protein products. these isoforms may reflect a diseased or cancerous state. the splice variants are tempting targets for exploitation as biomarkers. grow rapidly, metastasize, and develop resistance to anticancer drugs. to find alternative splice variants. peptides from 216 were found only in the tumor sample. represent potential biomarker candidates,” Dr. Omenn adds. the shift to anaerobic glycolysis in tumor cells. is observed in embryonic and tumor tissue. the expression of a peptide splice variant sequence. It is remarkable how many different areas of the life sciences are tied into the phenomenon of splice variation. The changes in the genetic material can be much greater than point mutations, which have been traditionally considered to be the prime source of genetic variability. gene duplication, combined with rapid variability, could fuel major evolutionary jumps. splice variation and other contributors to evolutionary change. in situations such as the Her-2/Neu breast cancers,” Dr. Omenn says. but also cancer type specific serum peptides. according to Paul Tempst, Ph.D., professor and director of the Protein Center at the Memorial Sloan-Kettering Cancer Center. the relationship between exopeptidase activities and metastatic disease. “We monitored controlled, de novo peptide breakdown in large numbers of biological samples using mass spectrometry, with relative quantitation of the metabolites,” Dr. Tempst explains. This entailed the use of magnetic, reverse-phase beads for analyte capture and a MALDI-TOF MS read-out. as compared to primary tumor-bearing individuals and normal healthy controls. However, there were no differences in amounts of the target protein, and this potential biomarker would have been missed if quantitative levels of protein had been the only criterion of selection. It is frequently stated that “practical fusion energy is 30 years in the future and always will be.” The same might be said of functional, practical biomarkers that can pass muster with the FDA. But splice variation represents a new handle on this vexing problem. It appears that we are seeing the emergence of a new approach that may finally yield definitive diagnostic tests, detectable in serum and urine samples. The tools to unravel the epigenetic control mechanisms that influence how cells control access of transcriptional proteins to DNA are just beginning to emerge. New tools may help move the field of epigenetic analysis forward and potentially unveil novel biomarkers for cellular development, differentiation, and disease. DNA sequencing has had the power of technology behind it as novel platforms to produce more sequencing faster and at lower cost have been introduced. But the tools to unravel the epigenetic control mechanisms that influence how cells control access of transcriptional proteins to DNA are just beginning to emerge. stably modifies gene expression in dividing cells. The unique methylomes are largely maintained in differentiated cell types, making them critical to understanding the differentiation potential of the cell. 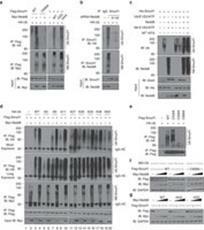 which participates in transcriptional repression of genes during development and disease progression. interfering with the binding of proteins involved in gene transcription. forming compact, inactive chromatin, or heterochromatin. it influences chromosomal stability and gene expression. some of which are oncogenic and contribute to genome instability. occurs frequently in cancers, thereby silencing them and promoting transformation. pluripotency in embryonic stem cells (ES), as well as in cancer cells. whether levels of 5hmC can distinguish normal tissue from tumor tissue. up to five-fold reduction compared with normal lung tissue. but 5hmdC levels were independent of mutations in isocitrate dehydrogenase-1, the enzyme that converts 5hmC to 5hmdC. Immunohistochemical analysis indicated that 5hmC is “remarkably depleted” in many types of human cancer. there was an inverse relationship between 5hmC levels and cell proliferation with lack of 5hmC in proliferating cells. a finding that adds another layer of complexity to the aberrant epigenome found in cancer tissue. In addition, a lack of 5hmC may become a useful biomarker for cancer diagnosis. But according to New England Biolabs’ Sriharsa Pradhan, Ph.D., methods for distinguishing 5mC from 5hmC and analyzing and quantitating the cell’s entire “methylome” and “hydroxymethylome” remain less than optimal. decode the hydryoxmethylome of the mammalian genome. cleaves at narrow range of distances away from the recognized modified cytosine. By mapping the cleaved ends, the exact 5hmC location can, the investigators reported, be determined. Dr. Pradhan and his colleagues at NEB; the Department of Biochemistry, Emory University School of Medicine, Atlanta; and the New England Biolabs Shanghai R&D Center described use of this technique in a paper published in Cell Reports this month, in which they described high-resolution enzymatic mapping of genomic hydroxymethylcytosine in mouse ES cells. In the current report, the authors used the enzyme technology for the genome-wide high-resolution hydroxymethylome, describing simple library construction even with a low amount of input DNA (50 ng) and the ability to readily detect 5hmC sites with low occupancy. including include chromatin compaction, nucleosome positioning, or TF binding. the regularly oscillating 5hmC profile around the CTCF-binding sites, suggests 5hmC ‘‘writers’’ may be sensitive to the nucleosomal environment. 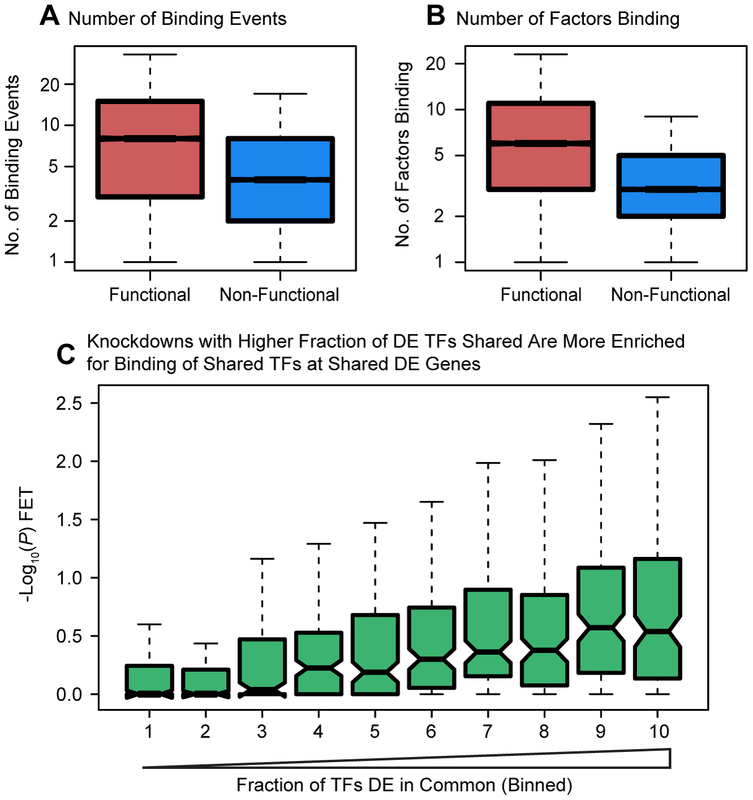 some transiently stable 5hmCs may indicate a poised epigenetic state or demethylation intermediate, whereas others may suggest a locally accessible chromosomal environment for the TET enzymatic apparatus. “We were able to do complete mapping in mouse embryonic cells and are pleased about what this enzyme can do and how it works,” Dr. Pradhan said. And the availability of novel tools that make analysis of the methylome and hypomethylome more accessible will move the field of epigenetic analysis forward and potentially novel biomarkers for cellular development, differentiation, and disease. Epigenetic regulation of gene expression refers to heritable factors that are functionally relevant genomic modifications but that do not involve changes in DNA sequence. 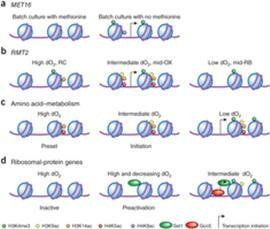 DNA methylation, histone modifications, noncoding RNAs, and chromatin architecture. packaging and interpreting the genome, and they have fundamental functions in regulating gene expression and activity under the influence of physiologic and environmental factors. the expression of genes involved in drug absorption, distribution, metabolism, and excretion in organ development, tissue-specific gene expression, sexual dimorphism, and in the adaptive response to xenobiotic exposure, both therapeutic and toxic. The articles also demonstrate that, in addition to genetic polymorphisms, epigenetics may also contribute to wide inter-individual variations in drug metabolism and transport. Identification of functionally relevant epigenetic biomarkers in human specimens has the potential to improve prediction of drug responses based on patient’s epigenetic profiles. increasingly being used to investigate metabolic alternations in human diseases. inference of intracellular metabolic states from extracellular measurements in the context of metabolic models remain underdeveloped compared to methods for other omics data. emphasizing on extracellular metabolomics data. which was supported by our experimental data. 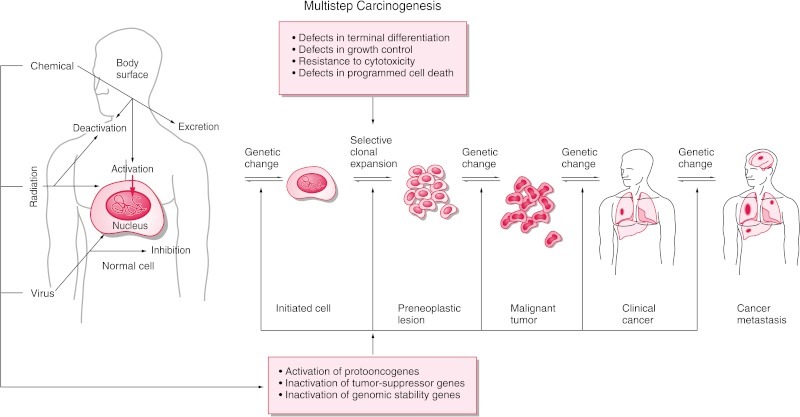 literature query emphasized the role of these genes in cancer metabolism. control points for each cell line model, e.g., phosphoglycerate dehydrogenase for the Molt-4 model. into a cohesive picture based on a defined model context. computational modeling is essential for their integrative analysis. Currently, such data analysis is a bottleneck in the research process and methods are needed to facilitate the use of these data sets, e.g., through meta-analysis of data available in public databases [e.g., the human protein atlas (Uhlen et al. 2010) or the gene expression omnibus (Barrett et al. 2011)], and to increase the accessibility of valuable information for the biomedical research community. investigate and engineer microbial metabolism through the prediction of steady-states (Durot et al.2009). organism-specific information from the literature. to generate a biochemical, genetic and genomic knowledge base (Reed et al. 2006). model properties can be interrogated using a great variety of methods (Schellenberger et al. 2011). limit the system to a subset of possible network states (Lewis et al. 2012). Currently, COBRA models exist for more than 100 organisms, including humans (Duarte et al. 2007; Thiele et al. 2013). biomedical applications of COBRA have increased (Bordbar and Palsson 2012). define their system boundaries according to the metabolic states of the system, e.g., disease or dietary regimes. then be assessed for the entire network (Sahoo and Thiele 2013). to generate cell-type or condition-specific metabolic models. even multi-cell assemblies that represent the interactions of brain cells (Lewis et al. 2010). were generated based on omics data sets. 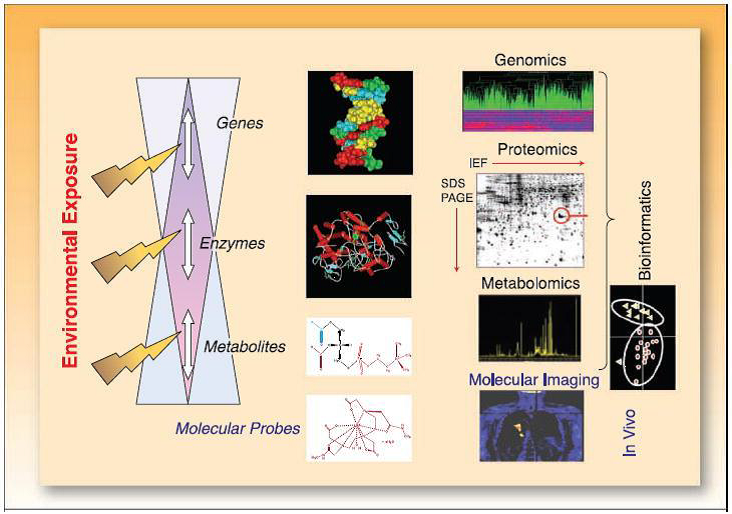 transcriptomic, proteomic, and metabolomics data. that would allow for the stratification of obese patients (Mardinoglu et al. 2013). 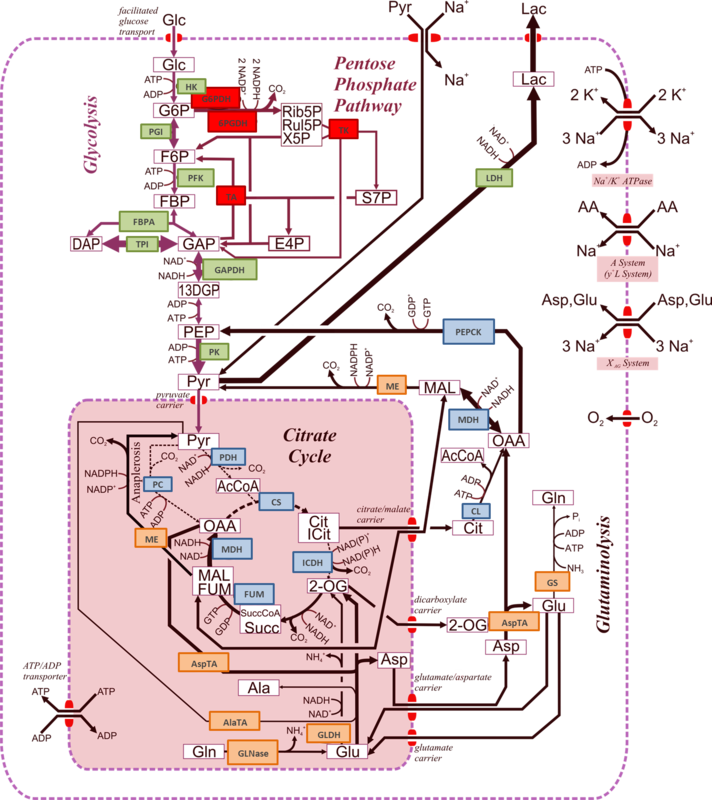 cancer metabolism (Jerby and Ruppin, 2012). predicting drug targets (Folger et al. 2011; Jerby et al. 2012). a consequence of the reduced redundancy in the cancer specific model (Folger et al. 2011). e.g., in renal-cell cancer cells survive a non-functional TCA cycle (Frezza et al. 2011). can be generated in different ways (Becker and Palsson, 2008; Jerby et al. 2010). to define the reaction sets that comprise the contextualized metabolic models. 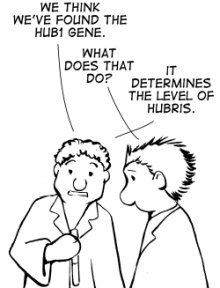 or inferred from expression values or differential gene expression. through the integration of omics data set generated from one experiment only (condition-specific cell line model). 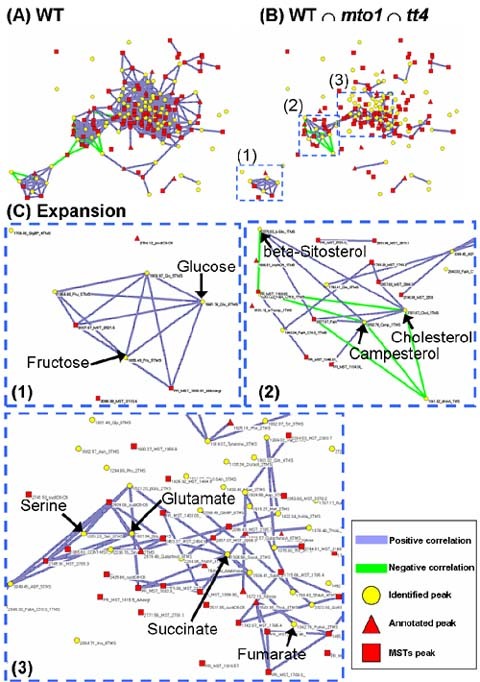 using these data sets allow direct determination of the metabolic network components (the metabolites). Thus, the integration of these data sets is now an active field of research (Li et al. 2013; Mo et al. 2009; Paglia et al. 2012b; Schmidt et al. 2013). qualitative, quantitative, and thermodynamic constraints (Fleming et al. 2009; Mo et al. 2009). prediction of internal pathway use. to define macrophage metabolic states (Bordbar et al. 2010). This type of analysis is available as a function in the COBRA toolbox (Schellenberger et al. 2011). that can facilitate the interpretation of metabolomic data. metabolic differences between two lymphoblastic leukemia cell lines (Fig. 1A). A Combined experimental and computational pipeline to study human metabolism. Experimental work and omics data analysis steps precede computational modeling. Model predictions are validated based on targeted experimental data. Metabolomic and transcriptomic data are used for model refinement and submodel extraction. Functional analysis methods are used to characterize the metabolism of the cell-line models and compare it to additional experimental data. The validated models are subsequently used for the prediction of drug targets. 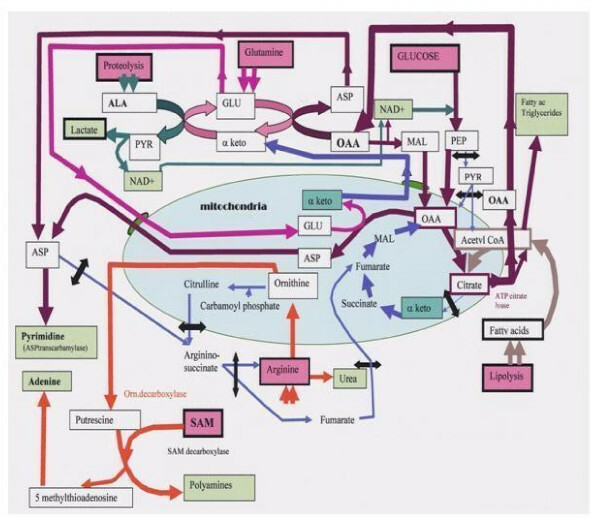 B Uptake and secretion pattern of model metabolites. All metabolite uptakes and secretions that were mapped during model generation are shown. secreted metabolites are shown on the right. 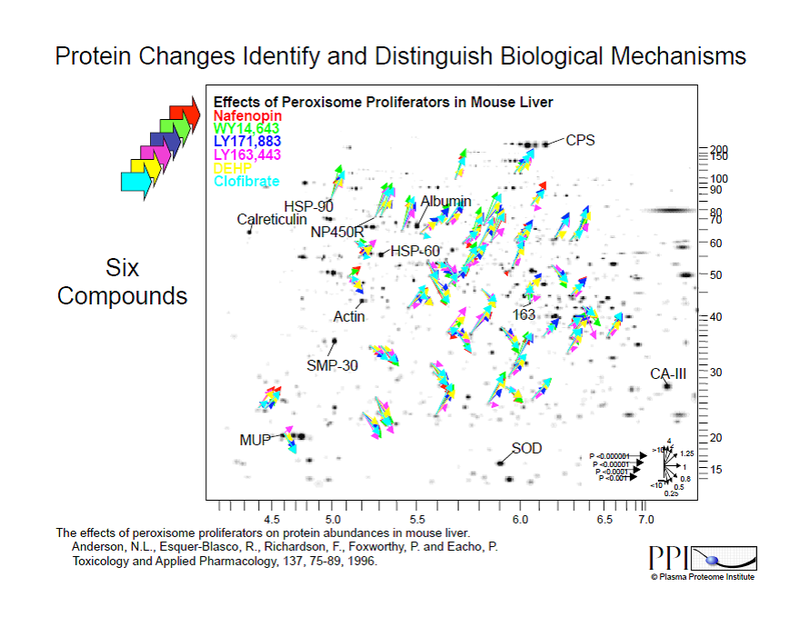 A number of metabolite exchanges mapped to the model were unique to one cell line. Differences between cell lines were used to set quantitative constraints for the sampling analysis. C Statistics about the cell line-specific network generation. emphasizing the differences in metabolite uptake and secretion between cell lines. the supply was restricted for the model with lower in vitro uptake. This was done by establishing the same ratio between the models bounds as detected in vitro. which was individual for each metabolite. (d) metabolite secretion could be x times higher in Molt-4 cells.LOD limit of detection. from semi-quantitative data regarding metabolites exchanged between cells and their environment. experimental validation of the model predictions (Fig. 1A). ^two lymphoblastic leukemia cell lines. 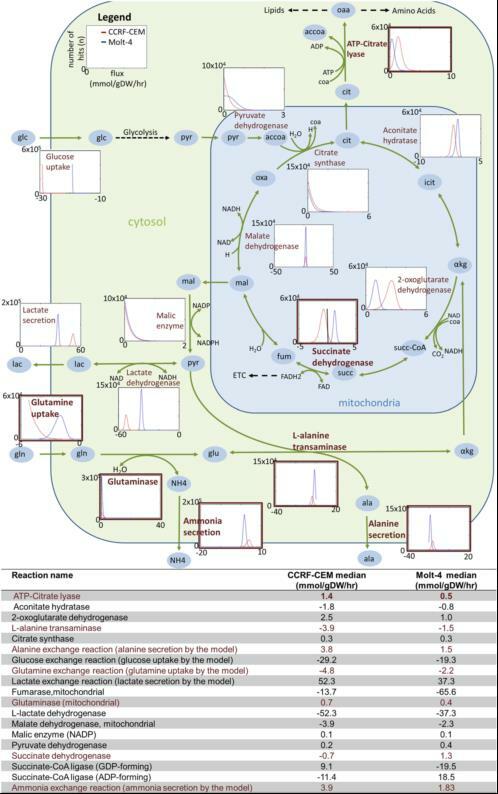 ^ by predicting the distinct utilization of central metabolic pathways by the two cell lines. ^ our model predicted a more respiratory phenotype for the Molt-4 model. consistent with additional experimental data regarding the energy and redox states of the cells. After a brief discussion of the data generation and analysis steps, the results derived from model generation and analysis will be described in detail. ^ were collected along with transcriptomic data, and these data sets were used to construct the models. To determine whether we had obtained two distinct models, we evaluated the reactions, metabolites, and genes of the two models. Both the Molt-4 and CCRF-CEM models contained approximately half of the reactions and metabolites present in the global model (Fig. 1C). They were very similar to each other in terms of their reactions, metabolites, and genes (File S1, Table S5A–C). (1) The Molt-4 model contained seven reactions that were not present in the CCRF-CEM model (Co-A biosynthesis pathway and exchange reactions). (2) The CCRF-CEM contained 31 unique reactions (arginine and proline metabolism, vitamin B6 metabolism, fatty acid activation, transport, and exchange reactions). (3) There were 2 and 15 unique metabolites in the Molt-4 and CCRF-CEM models, respectively (File S1, Table S5B). (4) Approximately three quarters of the global model genes remained in the condition-specific cell line models (Fig. 1C). (5) The Molt-4 model contained 15 unique genes, and the CCRF-CEM model had 4 unique genes (File S1, Table S5C). (6) Both models lacked NADH dehydrogenase (complex I of the electron transport chain—ETC), which was determined by the absence of expression of a mandatory subunit (NDUFB3, Entrez gene ID 4709). could contribute to the same ubiquinone pool as complex I and complex II (succinate dehydrogenase). ^^^ the internal networks were largely conserved in the two condition-specific cell line models. ^^^ according to the measured relative differences between the cell lines (Fig. 1D, see “Materials and methods” section). We plotted the number of sample points containing a particular flux rate for each reaction. The resulting binned histograms can be understood as representing the probability that a particular reaction can have a certain flux value. This result was further supported by differences in medians calculated from sampling points (File S1, Table S6). The shift persisted throughout all reactions of the pathway and was induced by the higher glucose uptake (34 %) from the extracellular medium in CCRF-CEM cells. The sampling median for glucose uptake was 34 % higher in the CCRF-CEM model than in Molt-4 model (File S2, Fig. S2). elevated median flux through ATP synthase (36 %) and other enzymes, which contributed to higher oxidative metabolism. The sampling analysis therefore revealed different usage of central metabolic pathways by the condition-specific models. The table provides the median values of the sampling results. Negative values in histograms and in the table describe reversible reactions with flux in the reverse direction. There are multiple reversible reactions for the transformation of isocitrate and α-ketoglutarate, malate and fumarate, and succinyl-CoA and succinate. These reactions are unbounded, and therefore histograms are not shown. The details of participating cofactors have been removed.